In less than three weeks from now ( January 25), Sony is going to unveil their latest smartphone tagged Sony Xperia XZ4 at the MWC 2019 event taking place in Barcelona. Other mobile phone brands like Nokia, Xiaomi, Huawei, etc. are also gearing up to launch their latest smartphones. This latest device from Sony as rumored will come with a wide 6.5 inches display and an impressive 52 Megapixels camera. So as we await the launched day, let’s look at what the Sony Xperia XZ4 will look like. The Xperia series has been much criticized when it comes to their designs by users in the past. 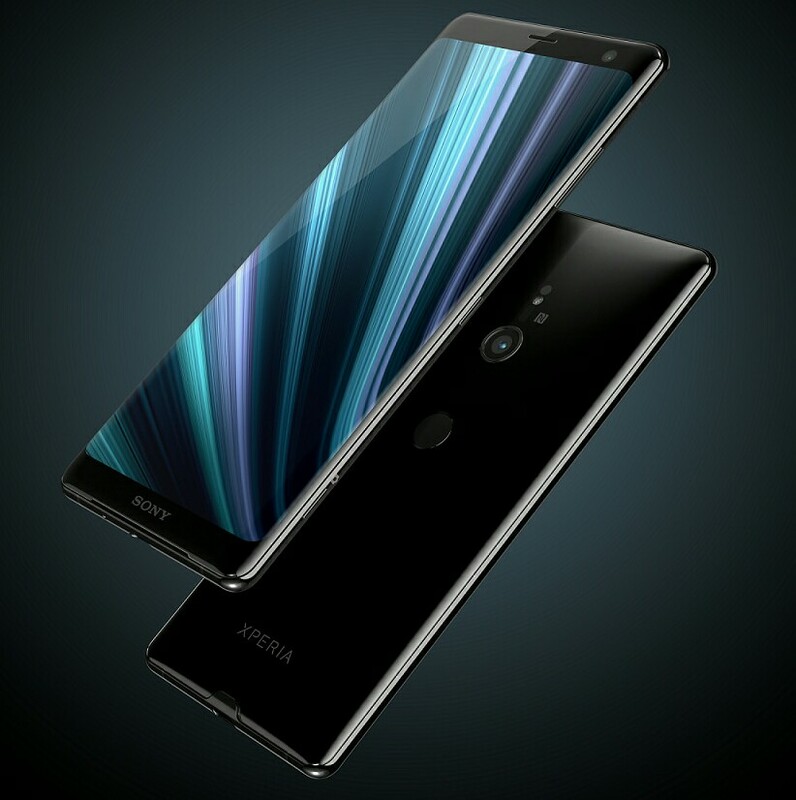 Most users believe that the Xperia series like Xperia XZ2 and XZ3 lacks appealing designs, which largely contributed to the smartphones not doing well as expected in the market. Whether Sony Mobile is going to modify the latest Xperia XZ4 design is hugely up to them, but some recent leaks suggest the new smartphone will come with a wide 6.5-inch, 3360 x 1440 OLED display with an aspect ratio of 21:9. No wonder Sony adopted ‘CinemaWide’ as the trademark term for this latest smartphone, which suggests that Sony Xperia XZ4 will feature a long thin wide display. 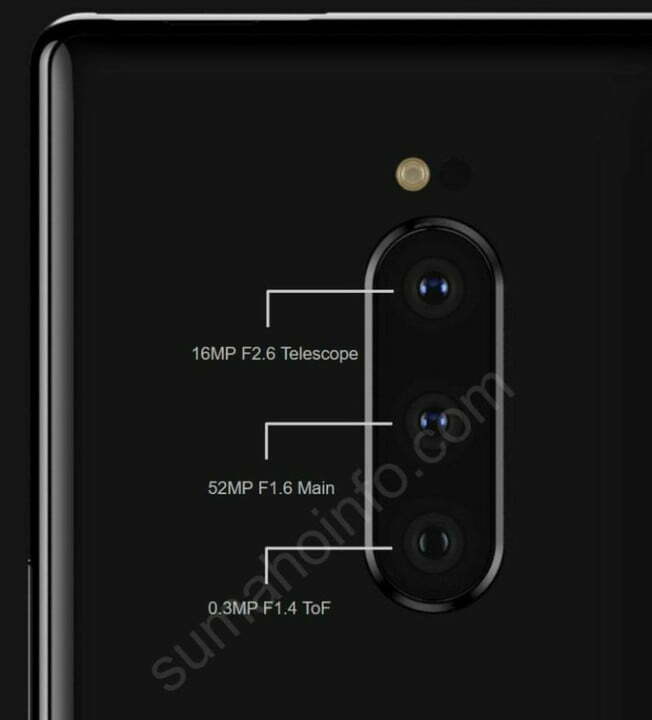 Sony Xperia according to some leaks will be featuring a small bar above the display which will be housing triple lens setup, instead of a notch. What this means is that the latest Sony Xperia XZ4 will be rocking three selfie cameras on the front. The buttons will be on the right-hand side and the USB-C charging port at the bottom. A recent leak on the device by Sumahoinfo shows that the upcoming Sony Xperia XZ4 will be rocking three rear camera sensors with an LED flash positioned directly above them. The smartphone will pack a whopping 52 Megapixels main shooter with f/1.6 aperture, a 16-megapixel telephoto sensor with an f/2.6 aperture, and there is also a 0.3 Mega-pixel Time of Flight sensor for measuring the depth at the rear. If these leaks about the rear cameras are correct, then the 52MP main shooter clearly beats the 48MP seen in Xiaomi Redmi Note 7, Redmi Note 7 Pro, and Honor Views 20 latest smartphones. On the front is a 24-Megapixels camera for a sharp and clear selfie. Sony Xperia XZ4 smartphone runs on Android 9 (Pie) Operating System. Powered by Qualcomm Snapdragon 855, tagged along with 6GB of RAM for fast data processing. When it comes to storage capacity, Sony Xperia XZ4 packs enough internal space of 128GB that can be expanded up to 512GB with a MicroSD card. The device will be powered by a 4,400mAh battery, armed with a fast charging technology. The price for this latest smartphone has not been officially fixed but since the Xperia XZ3 was launched at the price of $900, we expect Xperia XZ4 to arrive within that price range or below.